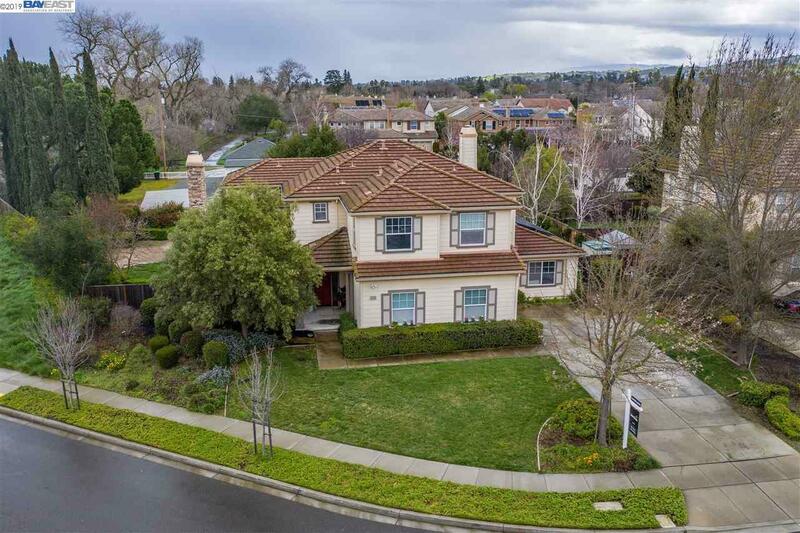 Nestled in the prestigious Rose Estates, this home exudes contemporary style while maintaining the allure of classic elegance. The welcoming entry highlights the tall ceilings, chandelier & oversized windows. An ideal in-law suite w/ dual closets & separate entry is present on the main level, along with optional 6th bedroom. Updated in 2019, the gourmet kitchen offers a spacious island w/ quartz counters & second sink, shaker slow-closing cabinets, eat-in dining & walk-in pantry. A peaceful corner location, solar, new carpet, fresh paint & an upstairs loft with built-in office are additional features of this home. Luxurious master suite offers quartz counters, dual vanities, jetted tub, roomy glass step-in shower, massive walk-in closet & French doors that open to a cozy retreat with fireplace. Private rear yard features low maintenance landscaping, a fountain & multiple patio areas. The quality craftsmanship & thoughtful design of this home really provide the WOW factor!